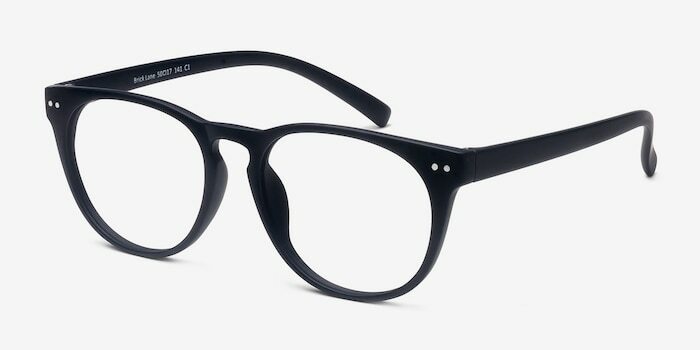 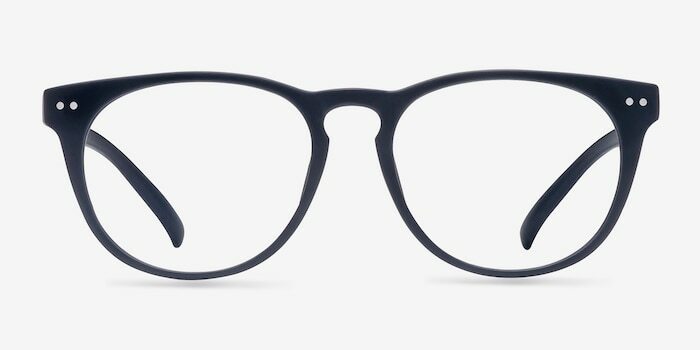 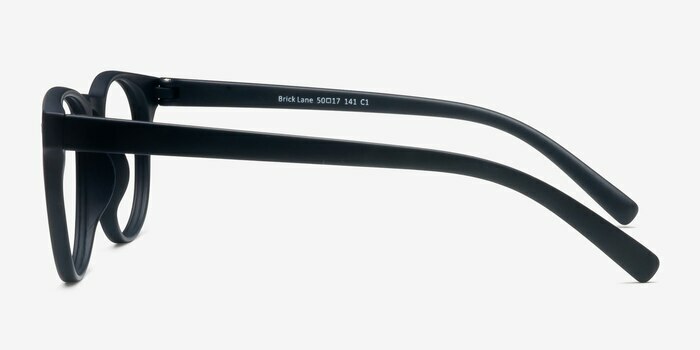 These matte navy eyeglasses are profoundly hipster. 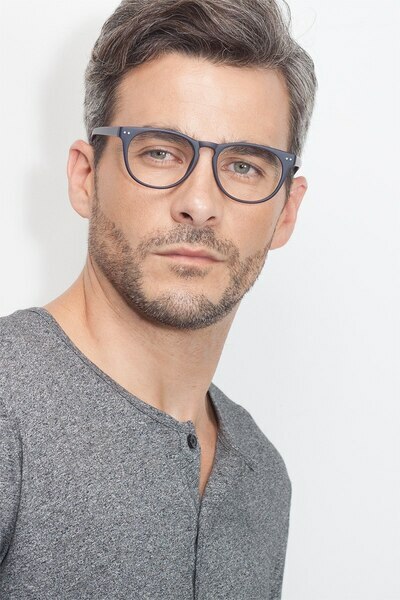 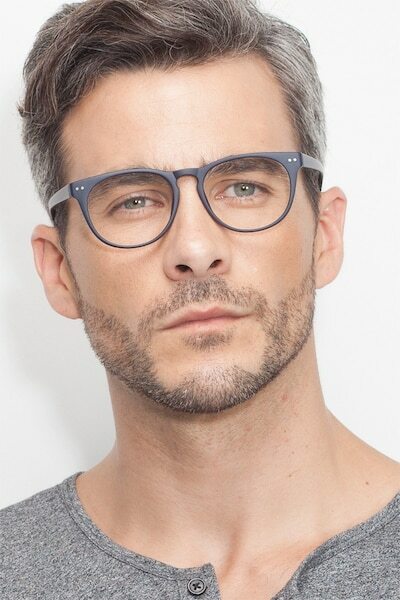 This ultra trendy frame comes in a matte dark blue acetate finish throughout with rounded wayfarer shaped lenses. 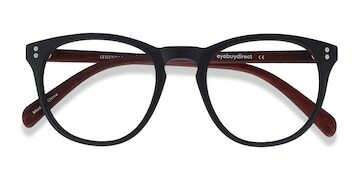 Cultured details like double stud accents and a keyhole nose bridge complete this stylish look that is suitable for both men and women. 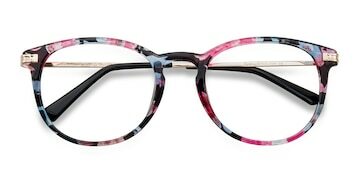 I love these frames! 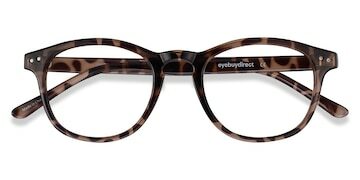 They fit very well and are cute and stylish. 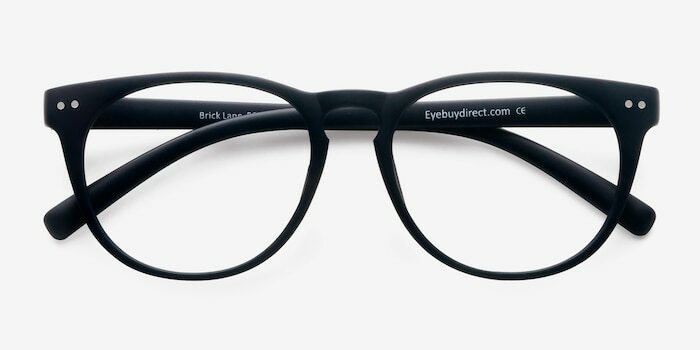 I definitely recommend buying from eyebuydirect prices are unbeatable!